How prepared are law firms for cyber breaches? And how often are firms being attacked? Browse: Home / Data Breach, Top / How prepared are law firms for cyber breaches? And how often are firms being attacked? On the same day that a massive ransomware attack hit DLA Piper, cybersecurity startup firm LogicForce released a chilling report that found that law firms are still woefully unprepared for all sorts of cyber threats. The study, released Tuesday, found that two-thirds of the 200 responding law firms had reported some sort of cyber breach. The LogicForce report, which compiled data from survey responses and proprietary information from clients, also found that 77 percent of responding firms did not have cyber insurance, 95 percent of responding firms were noncompliant with their own cyber policies, 100 percent were noncompliant with a client’s policies, and 53 percent of responding firms do not have a data breach incident response plan. 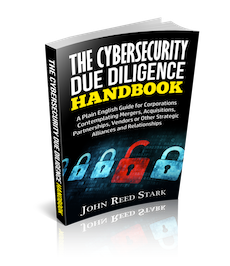 via How prepared are law firms for cyber breaches? And how often are firms being attacked?